A study of the Abraham Path has been conducted for the past eighteen months at Harvard University. A consultation process intended to elicit the views and support of religious, political, and community leaders in the region and around the world is underway. This website is intended to inform and connect interested individuals and organizations. 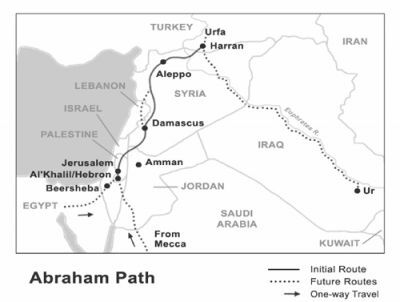 A guidebook to the Abraham Path is in the process of being written and the first journey from Harran to al-Khalil/Hebron, to be undertaken by a small consultative delegation, is being planned for October-November 2006. Our aim is to have the Abraham Path open for interested pilgrims and tourists within five years or less.